• Introducing our new fan assisted heated self help display. 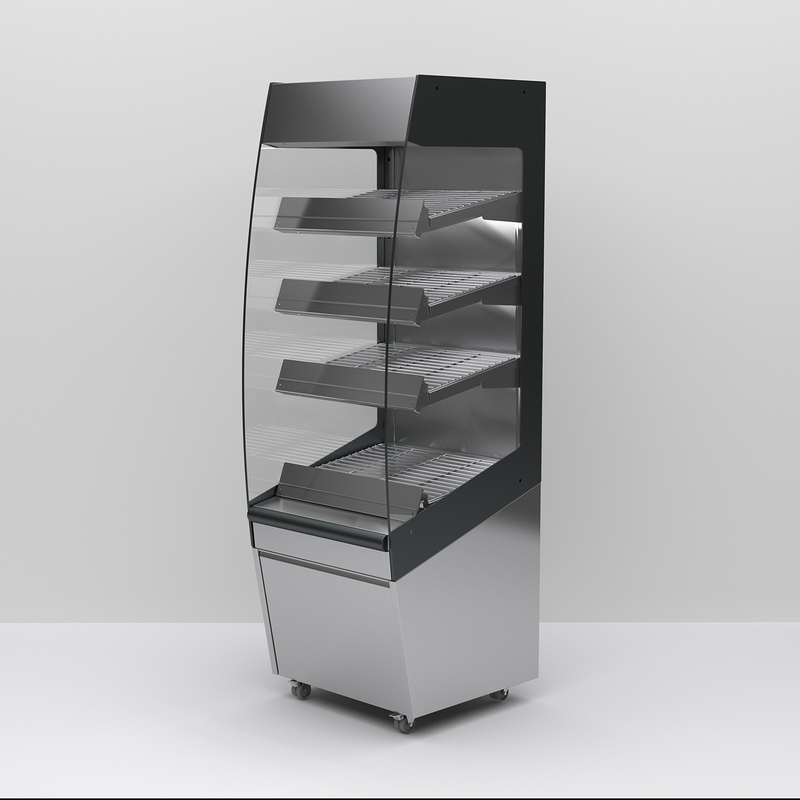 • This display maintains pre-heated cooked food at a regulated temperature. • Perfect for hot rolls, pies, pasties, chicken portions etc. • Produce displayed on bright polished stainless steel shelf covers removable for cleaning. • Each shelf controlled individually. Controls located in drop-down fascia.